Everything is under Control. Everything. Der "Daemon" ist unter Kontrolle und es geht in die Endrunde im Kampf gegen den unsichtbaren Feind! 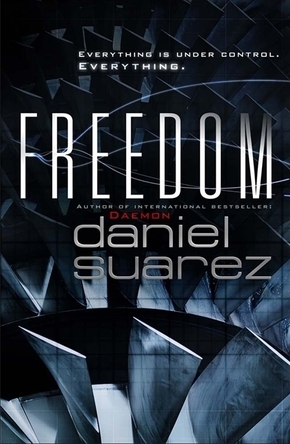 Human freedom has one last hope to survive the information revolution in the epic, apocalyptic sequel to the international bestseller Daemon. The Daemon is now firmly in control and moving towards its endgame, using an expanding network of real-world, dispossessed darknet operatives to tear civilization apart and build it anew. As the global economy begins to fail, the world's most powerful organizations - monolithic corporations, complete with armies of their own - prepare to fight their unseen enemy. When a brutal civil war breaks out in the United States, former detective Pete Sebeck, now the Daemon's most powerful though reluctant operative, must lead a small band of enlightened humans to protect the new world order. Amid conflicting loyalties, rapidly diminishing human power and the possibility that anyone can be a daemon operative or a corporate spy, Sebeck knows that he embodies the last hope that freedom can survive the information revolution.